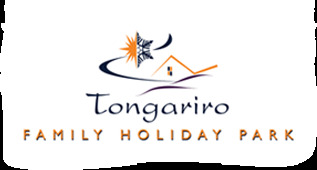 Tongariro Holiday Park offers 8 triple cabins on site. Booking triple cabins together is a great accommodation choice for school groups, sports teams and large family groups travelling together. These cosy, comfortable cabins sleep up to three people and feature a single room with one set of single bunks and one single bed. Triple cabins are warm and dry with a wall heater, spacious wardrobe, small desk with drawers and shelves. All cabin beds come with pillows, pillow cases and mattress protectors but no linen or blankets. There are also 2 power points in each cabin for your own appliances. THERE IS NO LINEN OR BLANKETS SUPPLIED but can be hired for $10 per bed. Communal kitchen has no cooking or eating utensils. Check in after 7pm may not be possible. CHECK BEFORE BOOKING. There is no seasonal variation in charges. Children are charged as extra persons. Cancellation: Any cancellation received with in 21 days of arrival, full payment will be taken and no refund will be given. PLEASE DO NOT SELECT THE EXTRA(S) DISCOUNT IF STAYING FOR 1 NIGHT STAY OR OUTSIDE THE SPECIAL DISCOUNT DATES. Sorry, rates and availability information is not accessible for selected dates. Please contact us by email: info@thp.co.nz with your enquiry. Thank you.